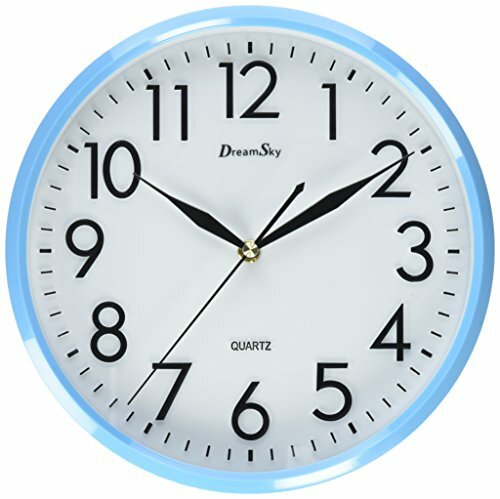 Sleek and sample, the DreamSky wall clock is distinguished by its modern and sleek quiet sweep design. Made with round Blue / Pink frame and clear glass dust resistant covers. The key features of this clock was it numeric hour and minutes markers are moulded with perfect accuracy instead of printed cardboard found in the market. 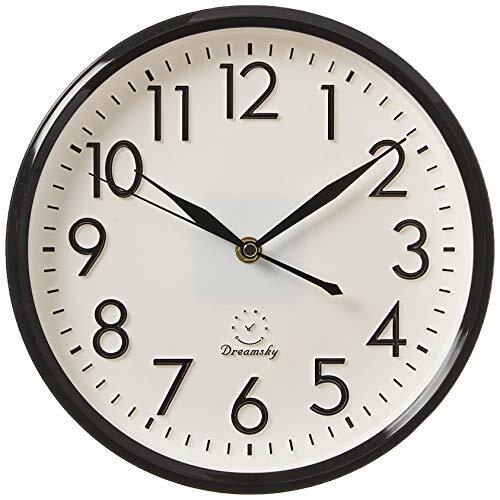 This is to ensure the accuracy of the clock with black colour hour and minute arrow indexes pointer for clear view from any direction. 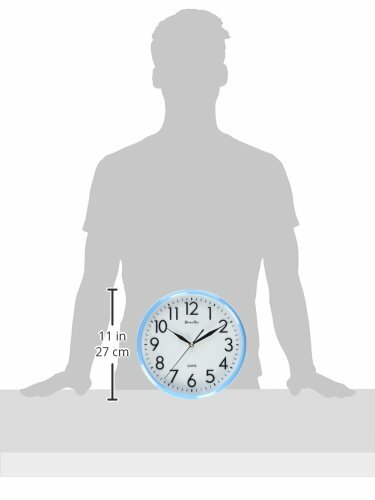 The moulded background are crucial and to avoid shrinkage that normally happened to cardboard background wall clock that affect the accuracy and movement of the clock. With revolutionary moulded board. 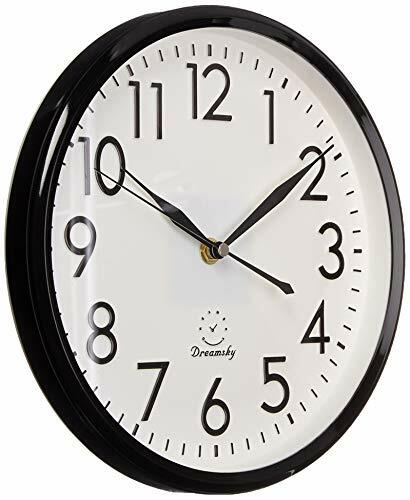 The accuracy of the clock are assure even after many years in used. The quiet sweep minute and second pointer is designed to move continuously, eliminating annoying ticking sounds and allowing worry free use in bedroom, hospital and even library other then living hall, kitchen and any other places as you like. 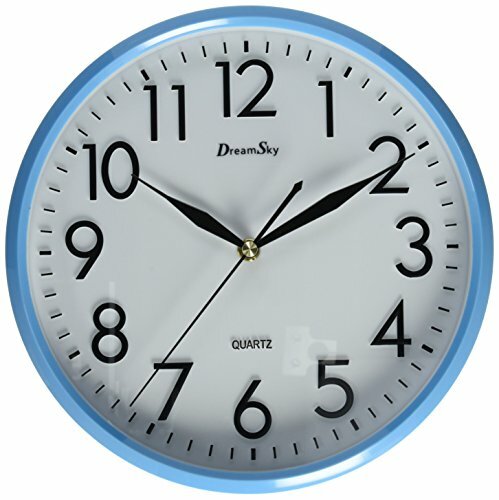 The quartz mechanism also provide longer battery lifespan and accuracy of the clock. 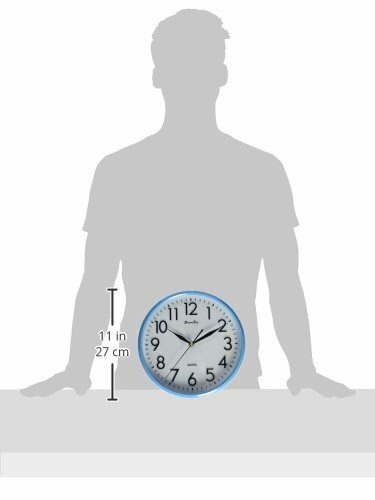 10 inch basic dial quartz wall clock ,non ticking, quiet sweep second hand ensure a good sleeping and work environment. perfect for home, office or classroom - any place accurate timekeeping is needed Large and clear 3D illuminate numeric indicator at every hour and minute tracker make it easy to see from any corner of your room . Unlike other using cardboard as clock background that easy damaged in moisture and wet season, this clock back base are made of solid plastic , therefore remain well function and dry in any weather condition Classic navy blue frame wall clock ,simple but elegance ,even as addition decorate to your house Operated by 1*AA battery (not included ) , Long lasting battery life . 30 days no hassle return and refund for incompatibility, 12 month replacement Warranty .